FOR 25 YEARS, Roland Thoms of Varsity Painting and Greg Morgan of Kelly Moore Paints have been working together in the paint industry. Greg has been selling the paint and Roland has been applying it. Here, they sit down to discuss a few topics related to maintenance painting. PART 1: IT’S TIME TO PAINT, RIGHT? Morgan: Simple answer. We paint to protect and to beautify. When the color fades, that’s when the application of new paint can improve the appearance of a home or building. Protection, on the other hand, refers to the paint providing a barrier between the surface being painted and the elements. Thoms: We’ve been talking about this since 1994 back when I first moved to California and we were both in our twenties. Protection is the “need” for why we paint and color is the “want.” It’s clearly time to paint when there is paint peeling. This leaves the substrate (wood, metal, stucco) exposed to the elements, which will eventually lead to deterioration, rot, rust, etc. Thoms: When people are painting to protect, it is often a “grudge” purchase. It’s not something they are too excited about. When color comes into play, then we have an emotional involvement. This is something to look forward to: I am going to change the way my home or my community looks. WHEN IS IT TIME TO PAINT? Thoms: The age old question of how long a paint job should last. My experience shows that wood and metal should be painted every 5-7 years. If you go any longer with those substrates, you’re asking for trouble. Wood rot is such a huge expense and not always something you can see happening. If you are coating your wood substrates every five years and ensuring that everything is properly caulked, that can save you a lot of money in repairs. Paint on stucco and concrete, on the other hand, simply lasts longer. Perhaps it’s the breathability of concrete that allows the moisture to pass through more successfully, but I find stucco surfaces can go 8-10 years between paint jobs. Morgan: The lifecycle of a paint job is affected by many factors, including substrate, exposure, thickness of coating and even color. Masonry, such as stucco, can last from 10-12 years between coats of paint due to its stability. Metal can last equally as long, but often will show some fading in color and sheen, depending on the finish used. Wood is a different story. Wood siding and trim is a very porous and dynamic substrate. It constantly expands and contracts with humidity and temperature, as much as 10 percent. Picture your hand with the fingers together. Now spread your fingers apart 10 percent and you will have a picture of how wood can open and close. It is for this reason that wood, including plywood, needs to be thoroughly coated with premium quality paint and monitored to prevent moisture intrusion and, eventually, dry rot. An average repaint cycle for wood surfaces will be 6-8 years, but should be inspected beginning at year five. Then there are the new or hybrid substrates, like ‘Hardie’ siding, which is cementitious (contains cement), and composite or engineered wood and faux wood surfaces such a Trex or Azek products. These products can vary greatly, but they are most likely to require a paint cycle that is in between stucco and wood, so plan on 8-10 years. Thoms: It’s true. Sometimes I come to communities that haven’t been painted in 15 years and the stucco is dirty and faded, but from a protection standpoint, it’s holding up fine. Other factors are at play also. Caulking can open up. Wood, especially plywood, can crack or split. Paint can lose its elasticity or adhesion. All of these conditions allow moisture to get into the wood and behind the paint, causing peeling or checking. These are the telltale signs that it is time to paint. Morgan: From a technical standpoint, it’s like this: Paint is made up of three main components: pigment, resin and solvent. Pigment provides opacity and gives paint its color. The binder, also known as resin, holds the paint’s ingredients together and helps the paint adhere to surfaces. Solvent keeps the paint liquid until it evaporates, leaving the remaining two components. The quality of these ingredients is at an all-time high. While VOC laws have presented challenges to manufacturers, paint chemists have risen to the occasion to provide safer, better performing coating for today’s substrates. Like most products, there is a good, better and best. Our best exterior acrylic product line, the ENVY series, offers excellent coverage, exceptional color retention and protection. So that’s usually what we recommend on a residential setting. 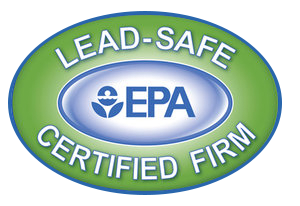 Our competitors offer a similar range of products. Since we are talking about longevity of a paint job, the simple advice is to use the best quality paint provided by the paint store of your choice. Labor is twice the cost of paint, so it just makes good sense to use the best quality product. Thoms: It’s a no brainer, use the best available. The other reason to re-paint is to change the color. The home or the community may have an outdated color scheme, look tired and faded or just be dull. This is where I get passionate about what I do. I love transforming communities. But before I start on the value of a color change, let me ask this: For years, we have heard about “lifetime” guaranteed paints. Why hasn’t a paint been invented that lasts 25 years? Morgan: Well, I have been on this planet for quite a while, and I have never seen anything last forever, have you? That said, I’m not sure that I would want my house to still be 1970s avocado green. Oh, and one more thing…even if the paint did last that long, how filthy is it going to be after 25 years? There are many reasons to re-paint your home. The claim of ‘lifetime’ paints (most of which are no longer around) is deceptive and preys on the ignorance of the buyer. Here’s how it works: The price of the product is inflated to cover the 1 percent of people who will make a complaint that their paint did not last. When the claim is made, you will be shown the ‘small print,’ which lists dozens of reasons why the warranty is void. If for some reason they can’t find a reason, you will be provided the product to “repair the affected areas,” which will turn out to be a couple gallons. Steer clear of these deceptive and dishonest products. PART 2: IS IT TIME FOR A COLOR CHANGE? at Varsity Painting. What color should you pick for your HOA community? To start, you have two choices. You can stay with the existing colors or go for a color change. Let’s discuss the pros and cons of both. No one is going to be upset over the colors selected. The substrates are protected with or without a color change. You don’t see a lot of change. You got what you paid for, but it’s hard to tell. Some homeowners will have wanted to change. A new pride of ownership. A feeling that you received something for the money you spent. If done correctly, an increase in property value. Homeowners who are not happy about the colors selected. Some effort in the process if you don’t use professional services. Morgan: From my perspective, I strongly encourage a color change. You are spending a good amount of money to have your community painted. You should benefit from seeing some significant change. Even if you only change the body color a little bit, there is more perceived value for the homeowners. Color trends change, and while you don’t always have to be cutting edge, there is no denying that if you use contemporary colors, you will add value to your home. Don’t believe me…ask your local realtors. Thoms: The key is to take it step-by-step and not rush into the color decision. While it is impossible to get every homeowner to like the new colors, you want to avoid alienating a third of your community because they hate the color scheme. In the end, majority rules. Morgan: The task of a color change doesn’t have to be daunting. There are many services and many people willing to help. Let me walk you through it. This is my recommendation for preparing for a community paint job that could possibly involve a color change. Acquire Paint Specifications: Contact a paint manufacturer and ask to have paint specifications drawn up. This ensures that when the project is put to bid, each painter is using the same information regarding surface preparation and paint application to come up with their price. We almost always recommend two coats of paint, but if you are staying with the same colors, and you want to save about 25-30 percent, you could elect one coat. Assemble a Color Committee: This does not need to be the entire board. Ask for volunteers and select two or three people who will make up the “color committee.” This group will work on the selection of the colors and placements and provide their recommendation to the board. There are many people who can help. Paint stores can typically help with the selection of colors.  Varsity Painting has an in-house color consultant and custom color schemes developed that can help you. A color consultants can also be hired. “Dr. Color” (Bob Buckter) is one color consultant who has been an expert at the color game for many years. (www.drcolor.com). Solicit Painting Proposals (Bids): Talk to your community manager (and paint store) to identify three painters that can submit proposals. Do an initial walk where the specifications are handed out and the painters meet with the paint company representative, the community manager and someone from the board to make sure everything is clear. Identify a date when the bid will be due. Select a Contractor: Many things to consider here. Price is obviously a big concern. Nonetheless, if the price is within 5-10 percent between two reputable companies, it is worth it to interview both and see who you would feel best working with. You can check their references or view some of their past work. Color Conference with Paint Store, Painting Contractor and Color Committee: Here is where you should be able to have some fun. DECISION 1: ONE SCHEME FOR ALL HOMES OR 2-3 ROTATING SCHEMES? If there are 90 homes in the community, 30 get scheme 1, 30 get scheme 2 and the final 30 get scheme 3 (or something similar to that). This avoids an “institutional” look and provides some color variety. However, it also can cause problems with homeowners who like their neighbor’s color scheme, but not their own. DECISION 2: ARE THERE ANY ARCHITECTURAL FEATURES THAT CAN BE ACCENTED WITH A 3RD COLOR? Shutters, unique elevations, front doors – a third color is a great way to add a splash of a fun, vibrant color. DECISION 3: PICK YOUR SCHEMES. Working with the color consultant, identify 4-5 schemes (if the village look) or 2-3 schemes (if all the same color) from color charts, large color brush-outs. Ask the paint company for digital color renderings of your community with the 4-5 schemes selected. This takes about two weeks. If you don’t have the time, skip to the next step. Have the painting contractor put large scale mock-ups of all the schemes selected on the home of a volunteer homeowner (someone on the color committee). Each color should be large enough to see how it looks beside the other colors (recommended: 3 ft x 3 ft). The color committee should review the colors in different lights (morning, afternoon, dusk) and then recommend the color scheme(s) that will be used for the community. Do not make this a community vote. If you want homeowners to have a little involvement, give them three or four door color options where they can pick the color of their choice from the options provided. Thoms: Great points. Yes, this is not a community vote. There will be plenty of opinions flying around once everyone sees the test patches going up. I like the front door option. It allows homeowners a little personalization where they otherwise have very little say. Morgan: The potential downside to a color change is knowing that you cannot please all of the homeowners. You will never make everyone happy. If you can please 70 percent of the community with the new colors, you are doing an excellent job. Thoms: Everyone has a chance to decide if they want to go to board meetings or participate by being on the board. Those who hold board positions are there because they volunteer their time…and they get to make these tough decisions. Morgan: In the end, many communities can greatly benefit from updating their colors. There is a reason why you always see great colors on model homes. They want to attract people with current, attractive colors with great placement of the colors. Thoms: Agreed. I am always so full of pride after we finish painting a community where we did a color change. It’s not quite the same when we simply paint it the same colors. Help is available. Seek it out. To have your questions asked in a future article, send an email to roland@varsitypainting.com or gmorgan@kellymoore.com. Roland Thoms is the owner of Varsity Painting, which is celebrating its 25th year in business. Varsity specializes in multi-unit residential projects. Greg Morgan is a sales representative with Kelly-Moore Paint Co., Inc., where he has 36 years of experience and specializes in multi-unit residential projects.